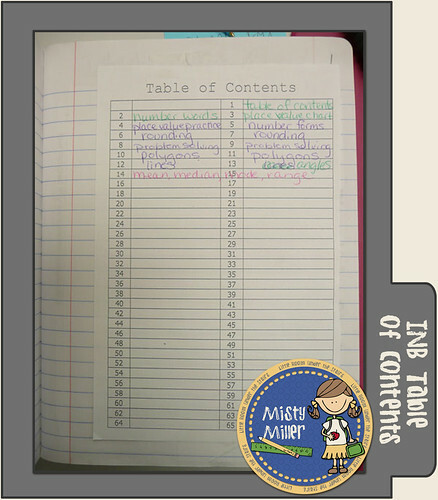 This is my second year using math journals, and I just love them! This year's group seems to really enjoy putting things in and taking some notes. Some of them ask almost daily if we are going to be working in our notebooks. If I say no, they are disappointed. I always give them a page or two at the beginning to doodle on throughout the year. This year we are using a pre-printed Table of Contents thanks to Statistics Teacher. 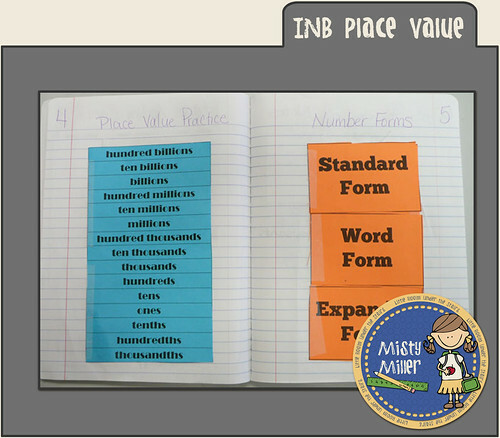 I also give my kids a list of number words and a place value chart for reference. 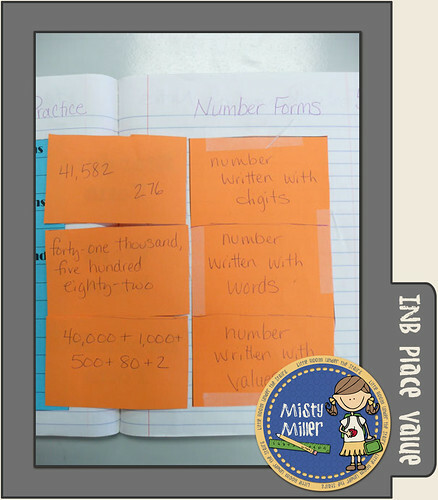 I'm still looking for the source of the number words and will post when I find it. 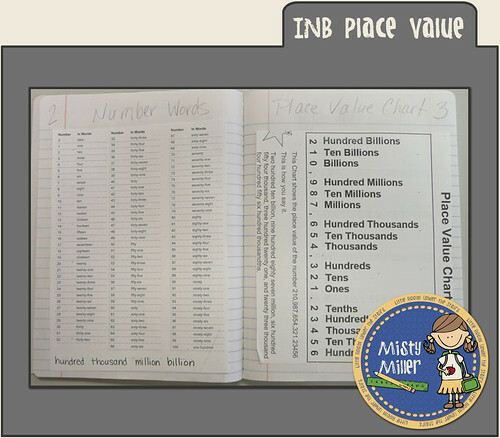 The Place Value chart came from Math-Aids. 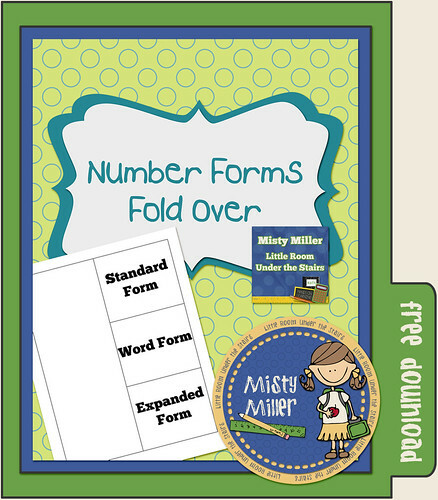 You can pick up the Number Forms foldable at my TPT store here.